Make your WordPress website mobile friendly with just a few clicks using WPtouch Pro. 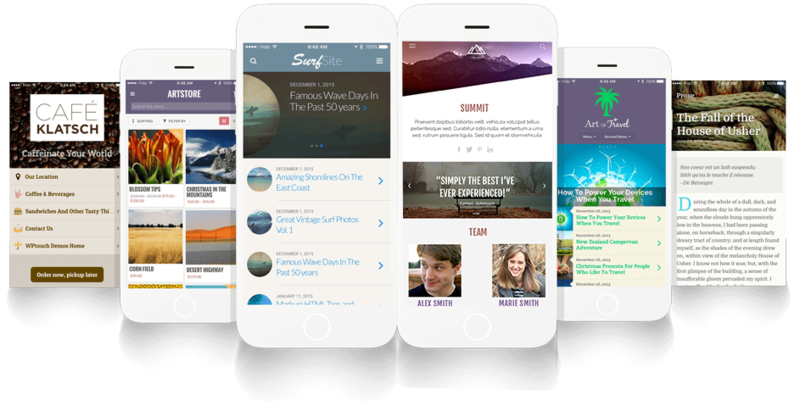 Designed for the modern mobile web, WPtouch themes are polished and powerful. Choose from a variety of themes, each designed and developed to make mobile easy.